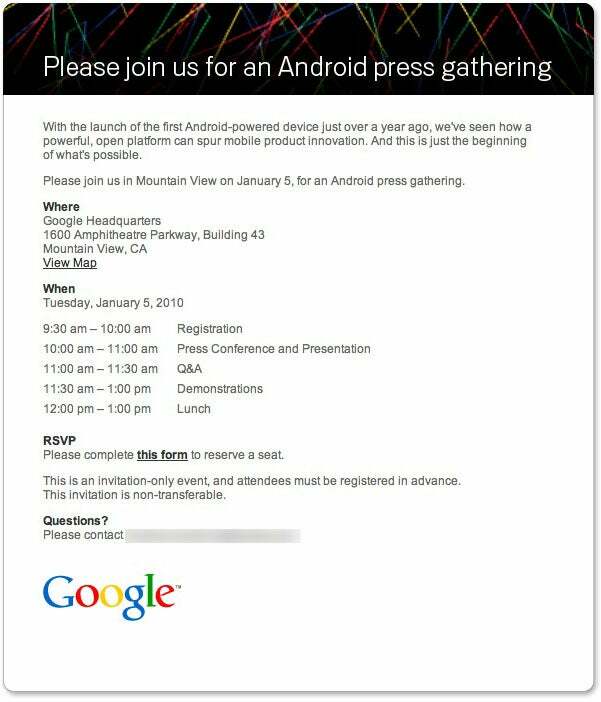 It may be the moment the tech world's been waiting for: Google has just officially announced plans for an Android-related media event to be held next Tuesday, January 5, at its Mountain View campus. If recent online chatter is to be believed, the event could have something to do with the Nexus One -- the highly anticipated HTC-built handset seemingly under development by Google. "With the launch of the first Android-powered device just over a year ago, we've seen how a powerful, open platform can spur mobile product innovation. And this is just the beginning of what's possible." Google previously revealed that it was testing a "mobile lab" device that utilized the Android platform. Company employees were given the devices in early December, a Google blog posting confirmed. That news came amid a bevy of leaked images, videos, and details from people claiming they'd gotten their hands on the so-called "Google Phone" and that it was, among other things, "like an iPhone on beautifying steroids." The standard flurry of rumors -- you know, the "this-or-that killer" kind of fare -- soon followed. Early (unofficial) reports had suggested the device would be unlocked and not tied to any specific carrier, leading some bloggers to speculate that the Nexus One would forever alter the mobile communications market. Other data, including the testing report filed with the FCC for the device, suggested the phone might work only with T-Mobile's data network within the U.S.
"Google, with support from T-Mobile, is scheduled to launch a new Android device in early January. The Google Android phone will be sold solely by Google via the Web. Support for this device, including troubleshooting and exchanges, will be managed by Google and HTC. T-Mobile will offer service support, including billing, coverage, features, and rate plans." So what's it all mean? 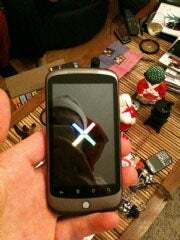 Is the Nexus One almost here? Will it be an everything-imaginable-under-the-sun killer? Will it revolutionize our lives in ways we can't even fathom? The answers, it appears, may finally be upon us. Stay tuned.